Export earnings in April have increased by 7.11 per cent, totaling USD 2.95 billion, compared to the same month in the previous fiscal year. This marks a strong rebound of higher shipments of apparel products and registers a growth of 9.37 per cent in the first 10 months (July-April) of FY2017-18. According to the Export Promotion Bureau (EPB), shipments of key readymade garments, comprising knitwear and woven items, amounted to USD 25.30 billion during the past 10 months, up by 9.37 per cent from the same period in FY2016-17. 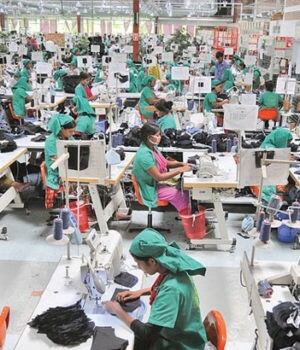 Bangladesh Garment Manufacturers’ and Exporters’ Association (BGMEA) senior vice-president Faruque Hassan told The Independent: “Some factors are responsible for this growth. They are: machinery upgrade, order improvement, manufacture of high-value products, development of infrastructure, exporting items to non-traditional markets and gaining buyers’ confidence.” “We have also invested around USD 4 billion in workplace safety and occupational health hazards. The depreciation of our currency against all other foreign currencies has also helped businesspersons, especially those who are associated with export business, to earn more money,” he said.